/ Modified jan 15, 2019 10:53 a.m.
Newman was one of hundreds of Navajos who used their language to create a code to help win World War II. Navajo Code Talker Alfred K. Newman, 2018. 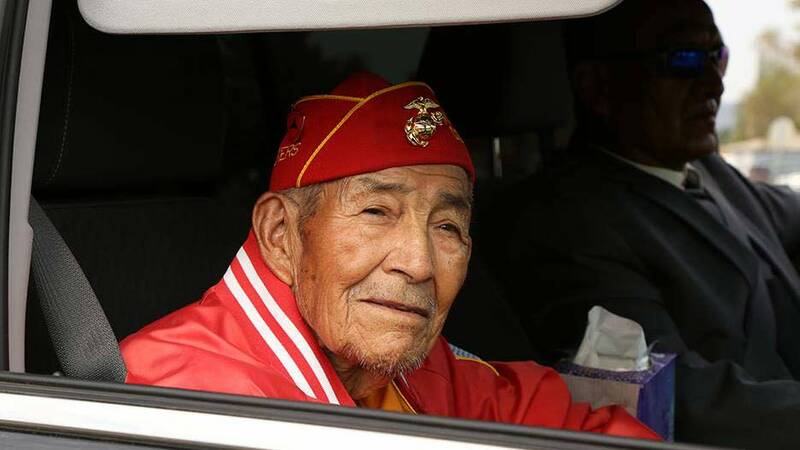 WINDOW ROCK — A Navajo Code Talker who used his native language to outsmart the Japanese in World War II has died in New Mexico at age 94. Navajo Nation officials say Alfred K. Newman died Sunday at a nursing home in Bloomfield. Newman is survived by his wife of 69 years, Betsy. They had five children, 13 grandchildren and three great grandchildren.